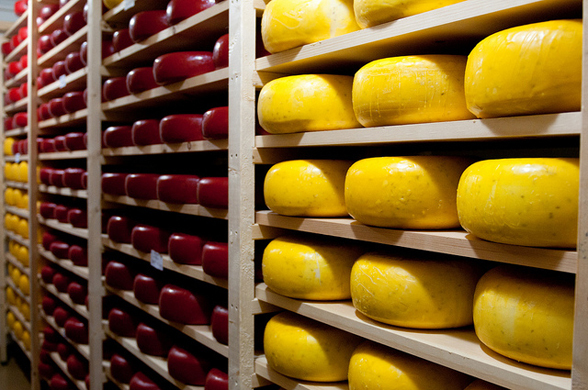 Golden Ears Cheesecrafters is the Fraser Valley’s newest Artisan Cheese processing facility and local food shop. It is a compilation of talents that seamlessly came together for the Davison Family. Being a part of a farming family in Maple Ridge, since 1902, the four family members have made a move to extend the legacy of their family for many years to come. “If we lived in Maple Ridge, I’d be here all the time for cheese. It’s a good feeling to be supporting a local company that makes fresh food from scratch, rather than the faceless (and not nearly as tasty) cheeses in our grocery store. Surprisingly, they weren’t a whole lot more expensive, either.” Notes from a Cookie Jar – Scattered Mom. Husband and wife, Kerry and Lynn Davison, both grew up with farming in their roots. Though they spent years working in other careers, neither of them ever lost the passion for farming that had been passed down to them through their family heritages. They began a hedging cedar business on their farm property in 1995, which continues today, but is extremely labor intensive. The close proximity of Kerry’s older brothers Jersey dairy farm next door, together with their location on the busy Abernethy Connector, sparked the idea for this new farm business venture. And so began the exciting adventure that has brought this family closer together and closer to their roots. Their two daughters, Jenna and Emma Davison both have a strong passion for food. Jenna, with a back ground in horticulture and agriculture decided to pursue an apprenticeship under a well-known cheese-maker in Agassiz. She quickly fell in love with the intricacies of the cheese-making process and the physical demands of the work involved. While Jenna runs the production side, her sister Emma also has her work cut out for her. Emma studied business in university and found that she thrives on multitasking and fast-paced work environments. She runs the front end of Golden Ears Cheesecrafters. Golden Ears Cheesecrafters has become a perfect destination ‘hub’ for customers looking for local foods. They’ve filled their shop with local fresh baked breads, gourmet cheese toppings, jams, jellies, sauces, pastas, dairy, eggs, juices, chocolates, gelato, coffees and teas. It makes for a perfect spot to stop for a Gelato or a Fresh Curd Poutine on the way to the lake. When the weather warms up their wrap around veranda is open for seating. They also make and sell their own signature take-n-bakes, like their “7- Cheese Mac N’ Cheese”! On the Saturdays and Sundays you can come in for Poutine Time (11:30am- 2pm) and enjoy an authentic Fresh Curd Poutine. Looking for something with more excitement? Golden Ears Cheesecrafters also boasts their GE Demo Kitchen where they host amazing cooking classes and demonstrations year-round. Visit their website for details on upcoming events and classes. The GE Demo Kitchen is also available for private parties and events. Gift Baskets and Platters have become another very popular purchase. You can stroll in, and a staff member will help you customize your platter or basket to fit with your occasion. They cut, prepare, decorate and wrap your Cheese Platter or Gift Basket to order.